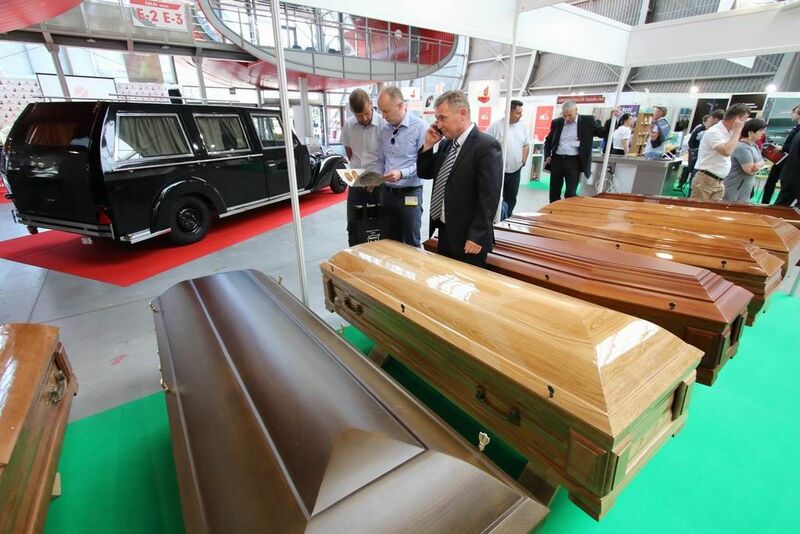 For many years, not only has the International Funeral and Cemetery Fair been Poland’s most important funeral, it has also advanced to become Central and Eastern Europe’s leading event. The exhibition is held every two years. NECROEXPO is the whole business sector’s one-stop-shop as it brings together domestic market leaders and serves as the showcase foe interesting foreign offers. 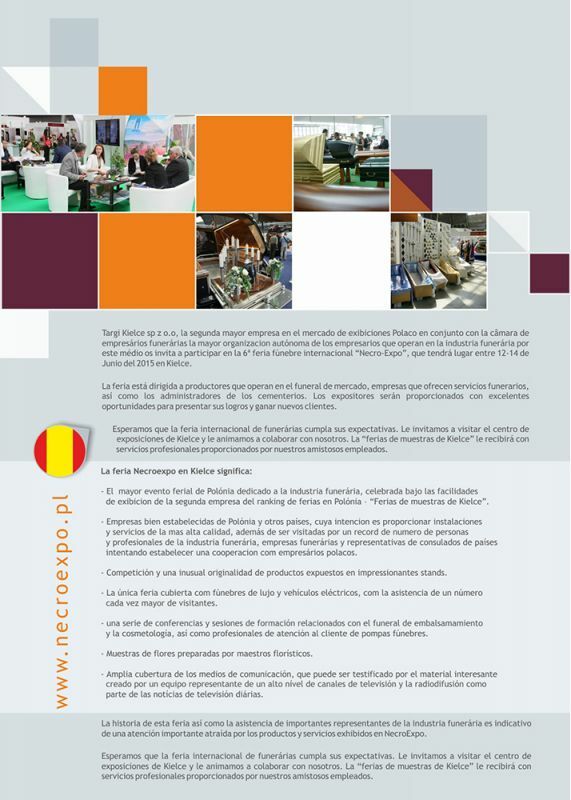 The previous edition was the display for 111 companies from 12 countries. The exhibition attracted almost 2,000 industry professionals. The upcoming, 8th NECROEXPO will be held from 14 to 16 June 2019. 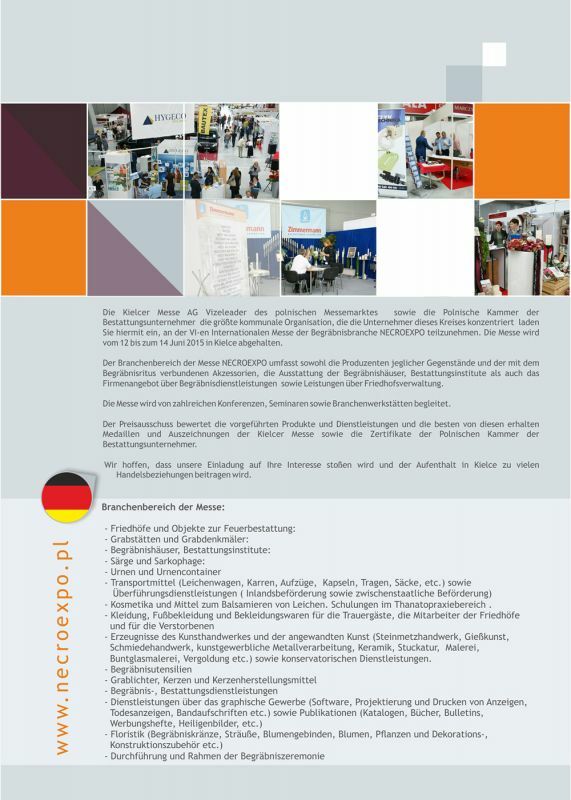 The exhibitors list includes companies from Italy, Germany, Great Britain, Pakistan, the Netherlands, the USA, Hungary, Romania, Austria, Russia, Spain. 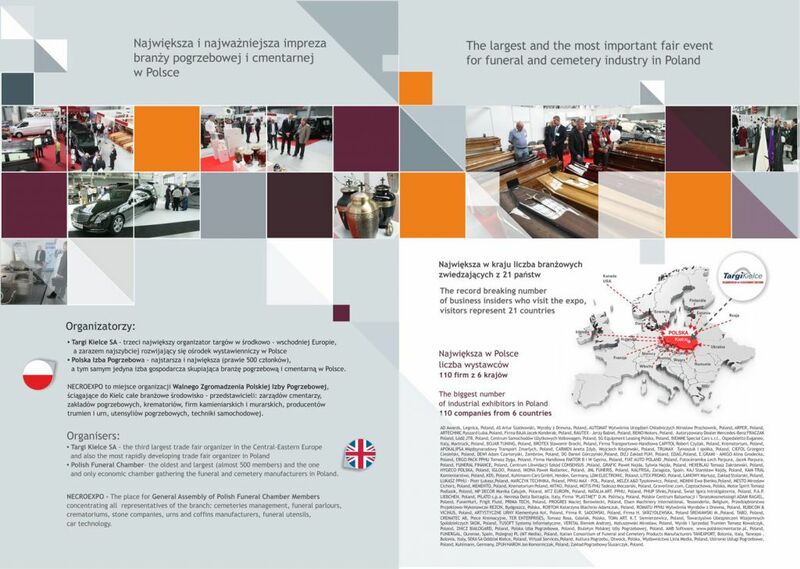 Poland enjoys the greatest representation at the expo. 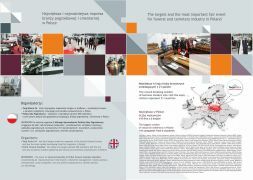 The three-day Kielce trade show boasts a plethora of advantages - this is where tradition and modernity go hand in hand. 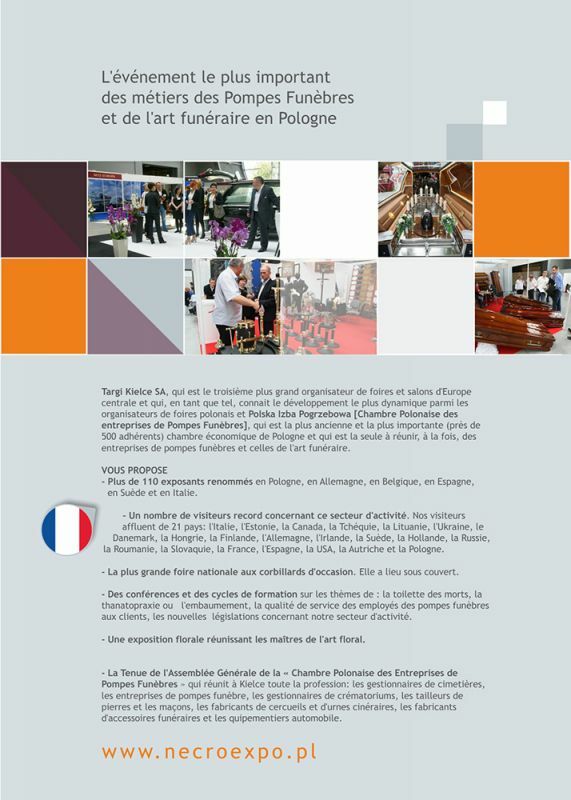 NECROEXPO is the best response to the funeral market’s needs and the possibility to establish cooperation between various funeral industry sectors. Since 2005, the first NECROEXPO edition the exhibition has seen 100% growth and advancement. 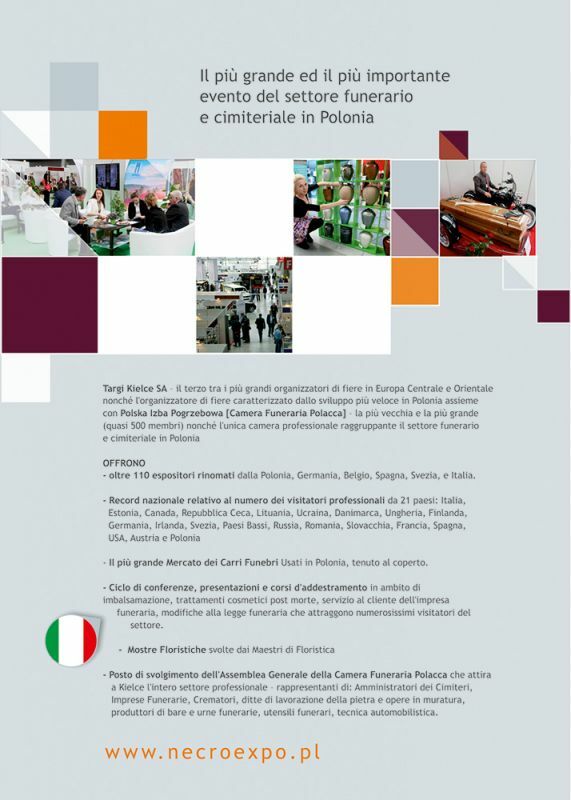 The expo organisers have always been guided with the idea to ​​consolidate the Polish industry and facilitate Polish companies presentation to foreign clients and markets.